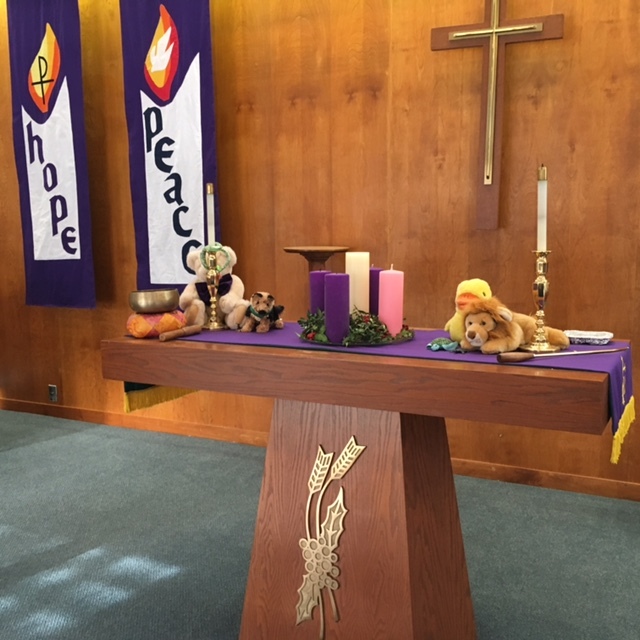 Island United Church of Foster City is a gathering place for spiritual discovery, companionship and learning. We gather together on Sunday mornings as a community of faith, encouraging one another to find deeper meaning in our lives through the life and teachings of Jesus. We would love to have you join us. We meet at 10:00 a.m. for a worship service with music, prayer, reflection and a message that inspires and challenges us to look within ourselves and more broadly throughout the world. We seek the many ways God calls us to serve with compassion and justice. We offer special services to observe Ash Wednesday, Maundy Thursday, Good Friday, Easter and Pentecost. We hold a Blessing of the Animals in the fall. We celebrate communion on the first Sunday of every month and on special occasions as appropriate. We have an open table. All are invited to share in a simple feast of bread and grape juice (including children) regardless of beliefs, faith tradition, or none. You have only to desire to share with us in love and community. Each Sunday during the school year (September through May) we offer our children ages 5-12 an opportunity to share in learning among themselves. After a special message for them during our worship service, they are invited to join a teacher for the remainder of the hour for educational activities, or they are welcome to remain with their parents and the rest of the congregation. Each Sunday nursery care is available for parents who bring young children. You are invited to join us after our worship service for coffee, tea, refreshments and hospitality with friends. It’s also time for our teams to meet on a rotating basis – Worship & Music, Buildings & Grounds, Communications, Social Justice & Outreach and the Church Council.